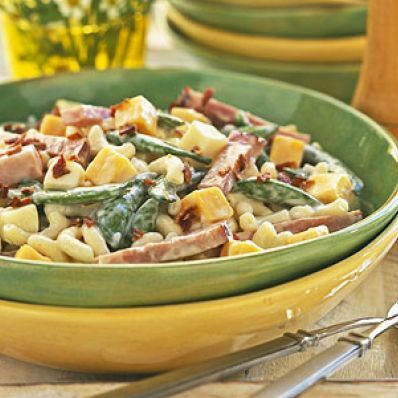 1 of 1 Toss together macaroni salad and ham in large bowl. Slice any large sugar snap peas in half. Add to bowl, along with cheese and bacon. Chill until serving.